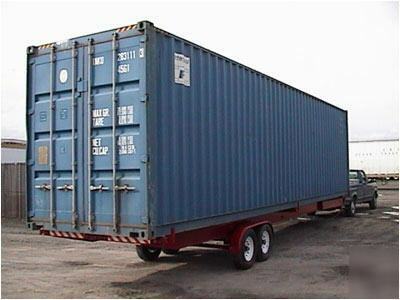 40 foot cargo / shipping container. in charlotte,n.c. Subject: 40 foot cargo / shipping container. in charlotte,n.c. We sell storage containers all over North America and can supply you with the highest quality containers is the U.S. We sell these containers nationwide and have them in about 35 cities in the U.S. at any given time. So if you need a good wind and water tight container we should be able to help you.